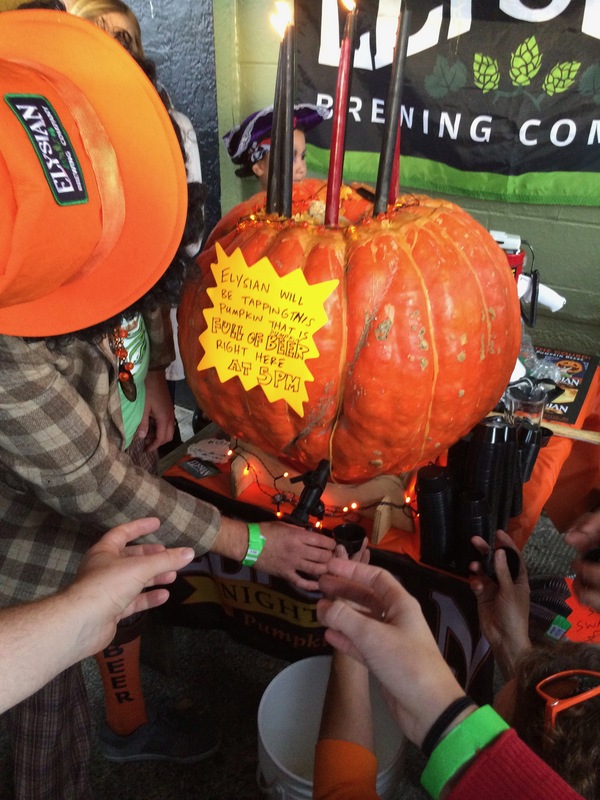 Elysian Brewing pouring its pumpkin beer from directly from a gourd that included canned peaches added to the beer. 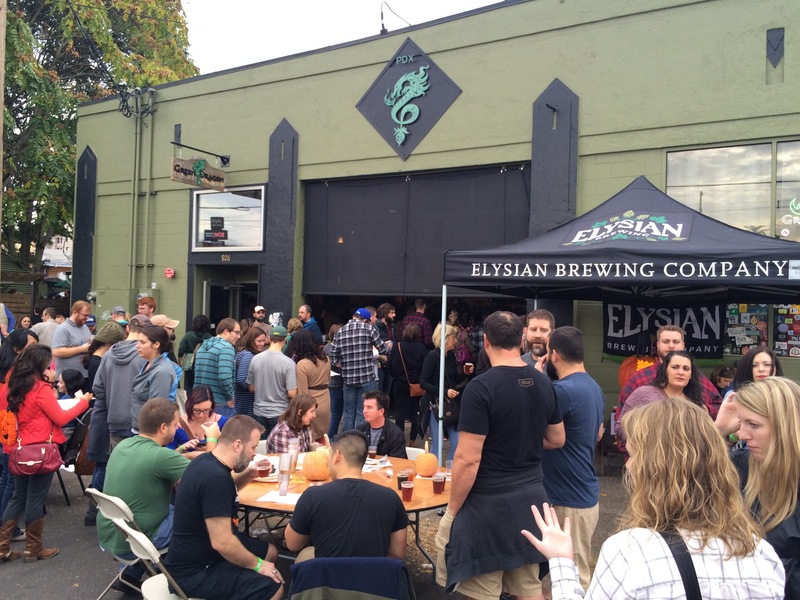 The outside area at Green Dragon at the 2015 Killer Pumpkin Festival during Killer Beer Week. 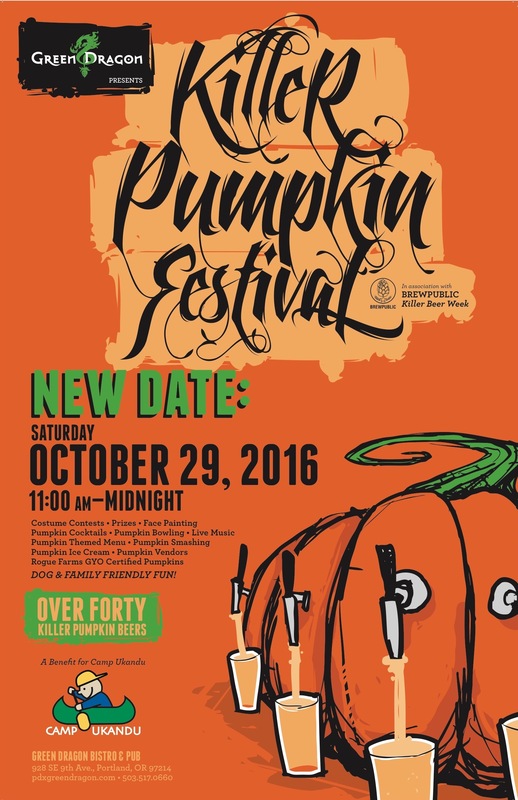 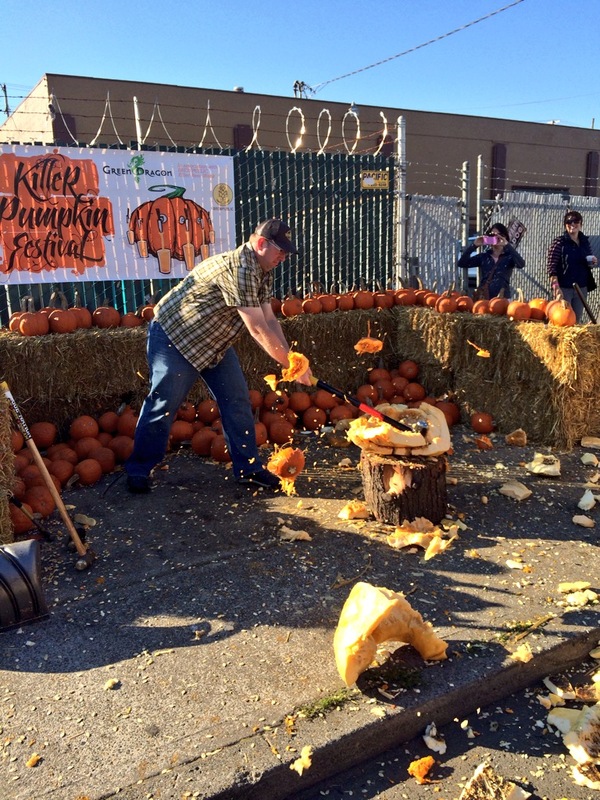 One of the fun festivities at Killer Pumpkin Fest is the act of smashing pumpkins with donations going to Camp Ukandu.